One of my aunts was a very frugal woman. She had a small 4x4 foot garden where grew, picked and ate her own leaf lettuce every day of the growing season. Every day for lunch she ate a salad of the lettuce she picked from her garden. She knew that as long as she kept the lettuce picked daily, she would have plenty of lettuce for her salad from the moment the first leaves were big enough to pick to long after the first frost in the autumn. One type of lettuce that often comes in the mind of most people is head lettuce and the most common type is iceberg. Iceberg is popular commercially because it tolerates hot weather and ships well. It is the least nutritious lettuce and lacks vitamin and and B found in other types.I prefer more flavorful alternative types of lettuce. Romaine lettuce also known as Coz offers higher nutrition. It's crunchy leaves also tolerate heat and are easy to grown. The white hearts can be used as a substitute for celery. 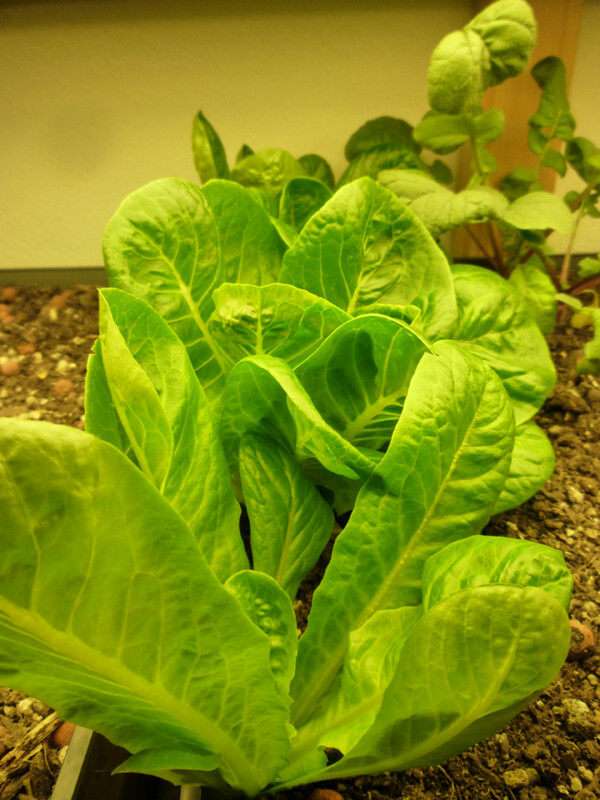 Boston or butterhead lettuce have tender outer leaves and white yellowish hearts. This type of lettuce is also highly nutritious and the taste and texture are ecellent. 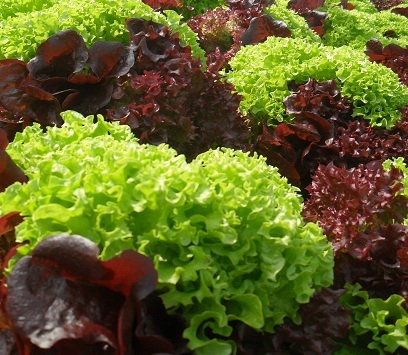 Many of this type of lettuce needs cool weather and rich, highly organic soil to produce well. Finally, leaf lettuce types are nutritious and many tolerate warmer temperatures than do other lettuce types. These lettuce types have loose open growth patterns and leaves range from smooth to frilly and from light green to ruby red. As my aunt could attest, by picking the outer leaves of leaf lettuces, plants will grow new ones to pick later. Strawberries, cucumbers, carrots, onions, and radishes all make good companion plants for lettuce. Lettuce requires cool weather and plenty of moisture to keep from bolting and the seed will not germinate in the summer heat. If you want to plant lettuce for the summer, start it before the summer heat and plant in a shady area to extend your harvest through the summer. Lettuce does best in humus organic well-drained soil with plenty of nitrogen. Prepare bed, then broadcast lettuce seed across growing area. rake lightly to cover the seeds. 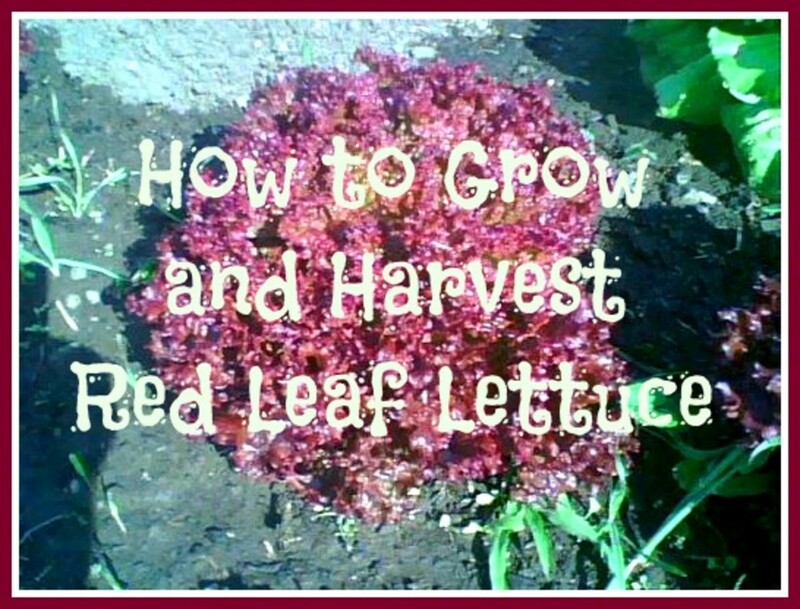 A small package of seed will produce as much as fifty pounds of leaf lettuce. Because some lettuce types do better in cooler weather and others are more heat tolerant, it makes sense to plant cooler weather lettuce as soon as the ground can be worked in the spring and then plant subsequent plantings of lettuce that is more heat tolerant. If you put later lettuce in shady areas of the yard, and give them adequate water, they are less likely to go to seed during hot weather. For a fall harvest, plant head or cos types and then as weather cools, plant a rapid growing leaf lettuce that may take you well into the winter months in milder climates. When the seedlings have their first set of full leaves, thin lettuce to about a foot apart and use the thinned out lettuce as you would any lettuce. Lettuce requires lots of water and has shallow roots, so it is important to keep the soil moist, but not saturated. Like most annual vegetables, make certain that the lettuce gets an inch of water per week. Water in the morning to prevent disease. To help conserve water, apply a thick layer of mulch. This will also keep dirt off lettuce leaves and make them easier to clean when you go to wash it to eat..
For quick growth, apply manure tea a couple of times during the growing season. If the lettuce plants start to get taller, they are starting to bolt, in other words, go to seed. 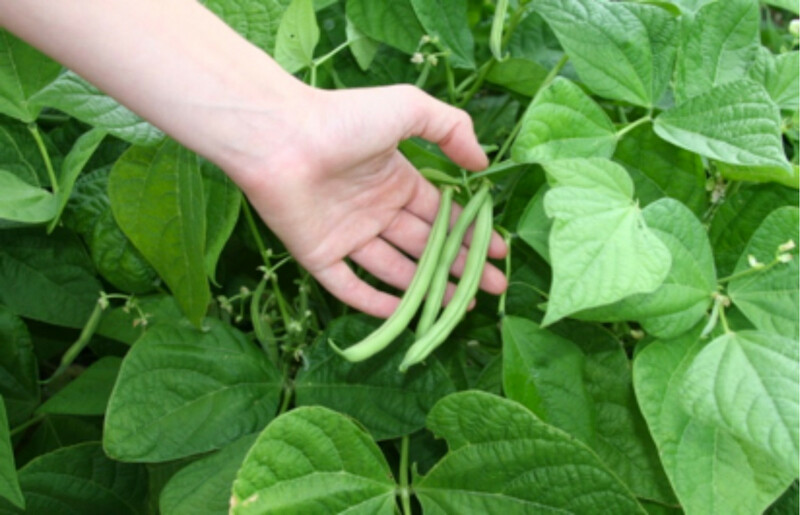 To stop this process, pinch off the center of the plant. Lettuce that has bolted tastes bitter so you won't want to eat it. Therefore if plants bolt, you will want to pull it and add it to the compost pile or give it to your chickens to enjoy. Slugs are a common pest in lettuce. To rid your garden of slugs, place boards around lettuce plants at night, and then in the morning, turn boards over and remove slugs (chickens love eating slugs too). If you see tiny holes in your lettuce leaves, and see tiny flies flying around plants, you have aphids. Spray your lettuce with soapy water (Put a piece of a bar of ivory soap in a spray bottle). You can also dust it with a few wood ashes or DE (Diatomateous Earth). Like all annuals, move lettuce to different parts of the garden to avoid most diseases. Pick lettuce early in the morning, and pick it often. Cut head lettuce with a knife below the lowest leaves. Harvest leaf lettuce by pinching outer leaves. Wash lettuce thoroughly as soon as you bring it in from the garden. For the best results, put in refrigerator for a couple of hours make lettuce crisp. 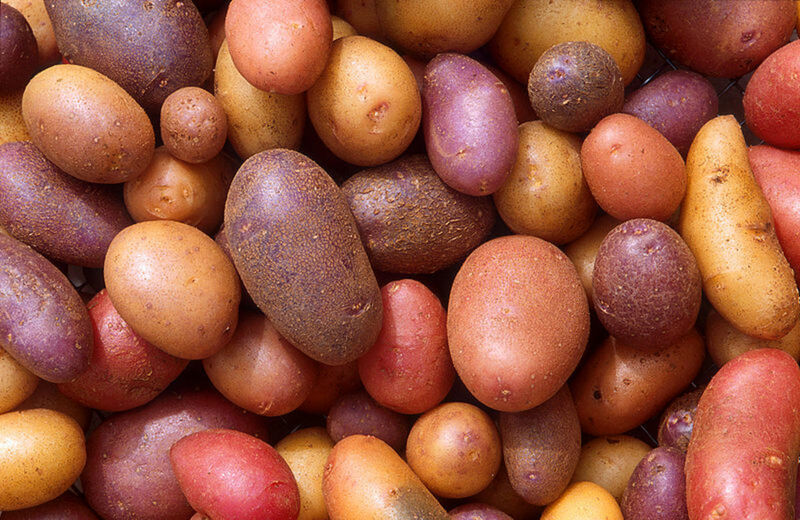 To maintain high nutritional value, it is best if used within 8 hours, but will keep in the refrigerator for a couple of weeks. Thanks for your comment. I would love to know how your lettuce turned out this year, Victoria! Great info! That's great that your aunt could use the lettuce daily. I didn't know to just pick the outer leaves. I also probably don't shade it enough, as I don't get great results with lettuce, as it often burns up. Maybe your advice will help my black thumb to at least turn brown! I'm thinking about doing exactly that. Lettuce is supposed to be able to grow well in containers, and I'd love to have some fresh. My goal is to have a full garden next year. I'm considering raised planter gardening, but it's so much work, and I'm not sure that we have the startup cash -- yet. Thanks so much for a great hub, Donna! Perhaps you should try a small container garden of greens in some kind of planter, beckisgiftguides. That way you won't have to wait another year! 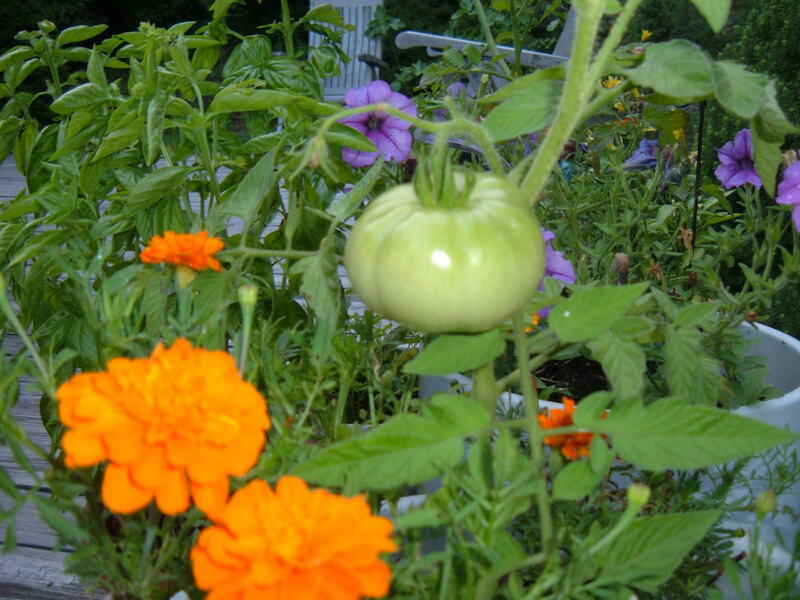 I'm hoping to get a garden going not this year (our yard isn't ready for it this year) but hopefully next year. Lettuce is one of the plants that I most want to grow since I eat a /lot/ of greens. Great hub, thank you! Lettuce is definitely a vegetable for the first time gardener or for any gardener for that matter. I've lived in areas with all types of soils and temperatures and have always learned how to make it work. I do love lettuce and it would be one of the first things to plant in my garden, if I had one. Interesting way to get rid of slugs, but I can understand the method. VVanNess. you're in AZ right? Perhaps it would be a good idea for you to plant so that the lettuce grew during the cooler winter months. Also, you might try growing it under a shade cloth. We've never had luck with lettuce, but your well written, informative article may just motivate us to try again. :) Great article! I think the important lesson that we all can learn from gardening is that it makes sense to plant a wide variety of different kinds of plants. As with nature, when we have a variety, when one plant doesn't do well, another does. Good information as always. We usually do quite well with lettuce here....except last year. LOL Too warm and we didn't adjust accordingly. Lesson learned.